Garlic health benefits can include lowering blood press, regulating blood sugar, preventing some cancers, and serving as a natural antibiotic. Garlic has been used for medicinal purposes for thousands of years, with wide-ranging health benefits including usage in treating infections, reducing blood pressure, and lowering cholesterol. Some believe that garlic can help prevent colon cancer, rectal cancer, stomach cancer, breast cancer, prostate cancer, and lung cancer, although very few studies or research has been conducted into garlic health benefits in treating various cancers. Like many natural cures, it can be difficult to untangle the real health benefits of garlic from the fiction that is often conjured up to sell products such as garlic pills, tablets, and supplements. Study after study has shown that garlic is most effective when eaten fresh and shortly after being crushed, minced, sliced, or chopped. The vast majority of pills and tablets have no real effectiveness as allicin — the active ingredient in behind most garlic health benefits– peaks quickly after a fresh clove is prepared and disappears over time. 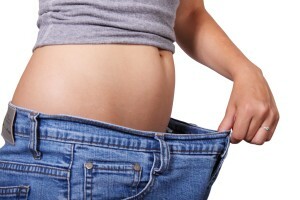 Garlic Health Benefits – Fact or Fiction? As far as the chemical processes at work, when fresh garlic is chopped or crushed the enzymes alliinase and alliin come together to form allicin, which is responsible for the distinctive smell and aroma of garlic. Allicin is very unstable and quickly begins to change and form a series of sulfur containing compounds such as diallyl disulfide. It is these sulfur compounds that interact with the human body in various ways, and which have been shown to be effective in lower blood pressure and regulating blood sugar. Other garlic health benefits center around its antimicrobial properties, with garlic showing promise as a treatment for staph and MRSA infections. Studies have been limited but garlic has shown effectiveness against more than 30 strains of MRSAs, including many that now resistant to other chemical agents and treatments. 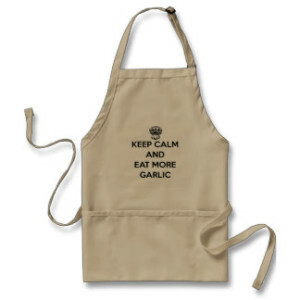 If you’re interested in exploring garlic for its health benefits, the best way is the simplest: eat fresh, raw garlic. A clove a day should be sufficient and garlic can be eat raw, sliced up into a salad, or very lightly sauted – although baked garlic and roasted garlic recipes will have little health impact since the cloves aren’t chopped or crushed. 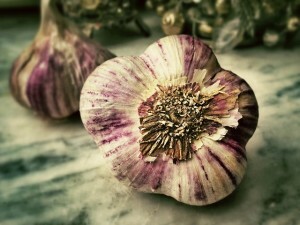 Porcelain varieties are highest in allicin content so look for garlic varieties such as Romanian Red, Georgian Crystal, Music, and Northen White if you want to max out allicin consumption in your garlic. If you do decide to use a garlic pill or supplement, do your homework to ensure that the product you’re buying is prepared using a process that preserves the allicin in active form. Many supplements don’t, rendering the pill or extract useless from the perspective of someone looking to explore garlic health benefits.